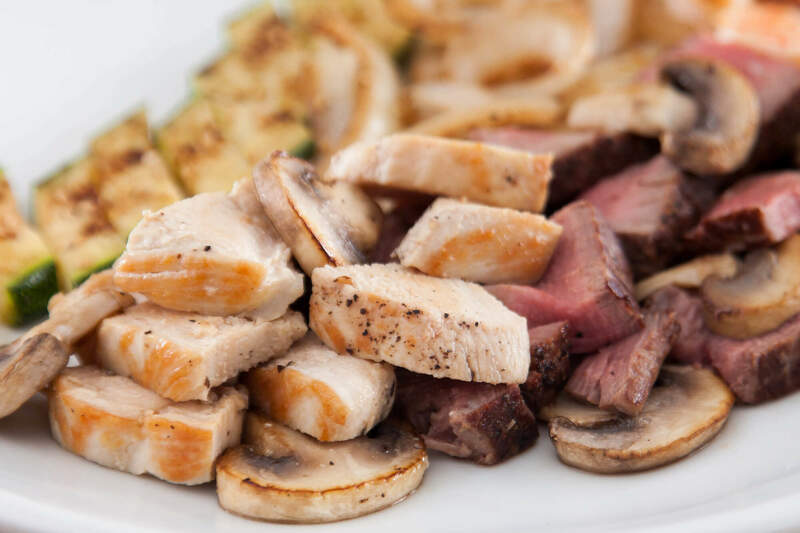 8.5 ounces of center cut tenderloin* and mushrooms lightly seasoned and grilled with garlic butter. Thinly sliced steak*, scallions and mushrooms grilled in a homemade teriyaki sauce. Tenderloin* and mushrooms lightly seasoned and grilled to perfection. Chicken breast grilled with green onions and mushrooms in a special spicy homemade sauce. 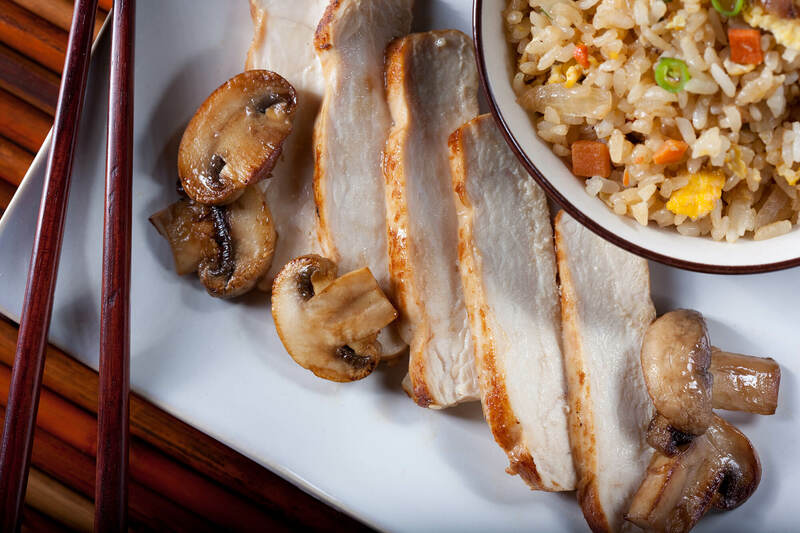 Chicken breast grilled with mushrooms in a special homemade teriyaki sauce. Hibachi SteakNew York strip steak* and mushrooms hibachi grilled to your specification. Two cold water lobster tails grilled with butter and lemon. Grilled cold water lobster tail with grilled sea scallops and colossal shrimp. Tender sea scallops grilled hibachi style with butter and lemon. Hibachi grilled salmon served with a savory avocado tartar sauce, with sautéed shiitake mushrooms and asparagus in garlic butter.Served with sautéed udon noodles. Sesame crusted tuna steak* with tomato, avocado and edamame in a white balsamic sauce. Served medium rare. Colossal shrimp lightly seasoned and grilled with lemon and butter. 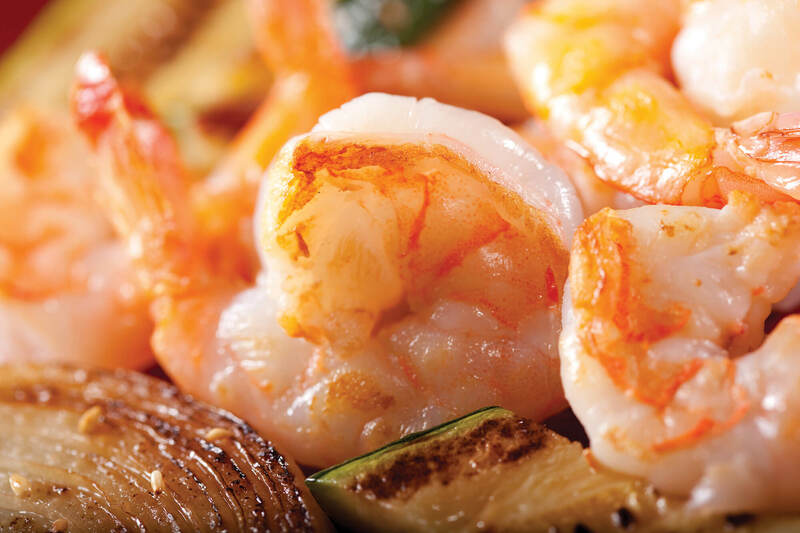 Grilled colossal shrimp, calamari and tender sea scallops. Hibachi ShrimpHibachi shrimp grilled to perfection. Hibachi steak* and chicken breast grilled to your specification. 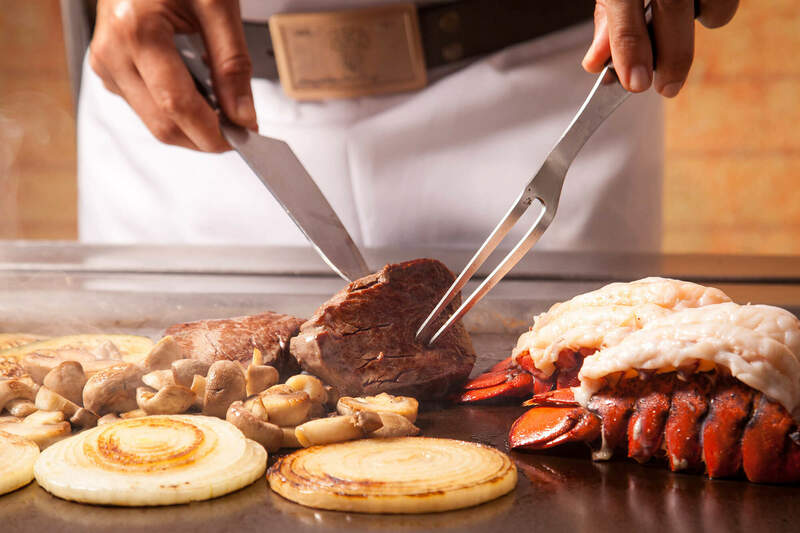 Chateaubriand*, 8.5 ounces of our finest center cut tenderloin, served with a grilled cold water lobster tail with butter and lemon. Filet mignon* and colossal shrimp grilled to perfection with lemon and butter. Tender filet mignon* and sea scallops grilled in butter and lemon. Filet mignon* and cold water lobster tail grilled with butter and lemon. Hibachi steak* and grilled colossal shrimp lightly seasoned and grilled to your specification. Teriyaki beef* julienne with scallions and colossal shrimp. Chicken breast and colossal shrimp lightly seasoned and grilled. Hibachi steak* paired with a cold water lobster tail. Filet mignon*, chicken breast and colossal shrimp grilled with lemon and butter. Japanese sautéed noodles with chicken and mixed vegetables in a special sauce and sprinkled with sesame seeds. Tofu, scallions and cilantro grilled in a special spicy homemade sauce. 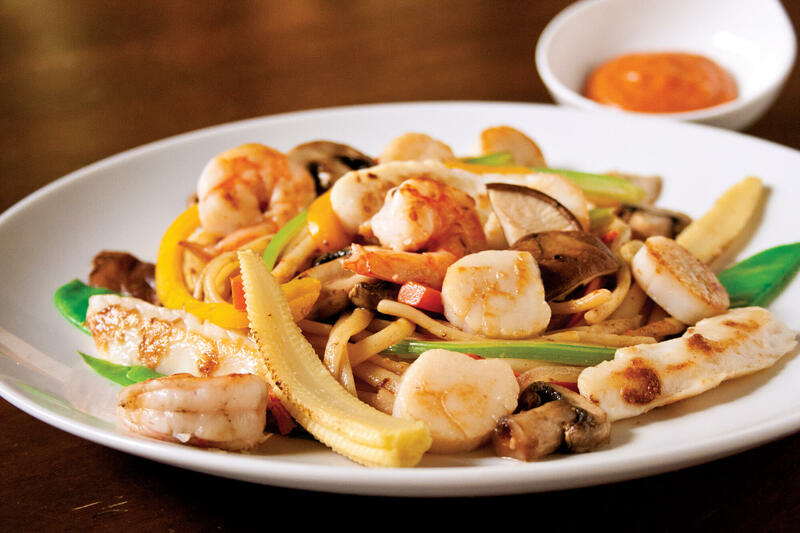 Seafood DiabloSea scallops, calamari, shrimp, assorted vegetables and Japanese udon noodles grilled in a homemade spicy sauce. Hibachi ChickenThe original Benihana classic. Grilled chicken, rice, egg and chopped vegetables with garlic flavored butter. All of our beef is USDA Choice, aged to perfection and hand-cut on premises. Garden salad with edamame, grape tomatoes, cucumber, yellow pepper and assorted fresh vegetables. 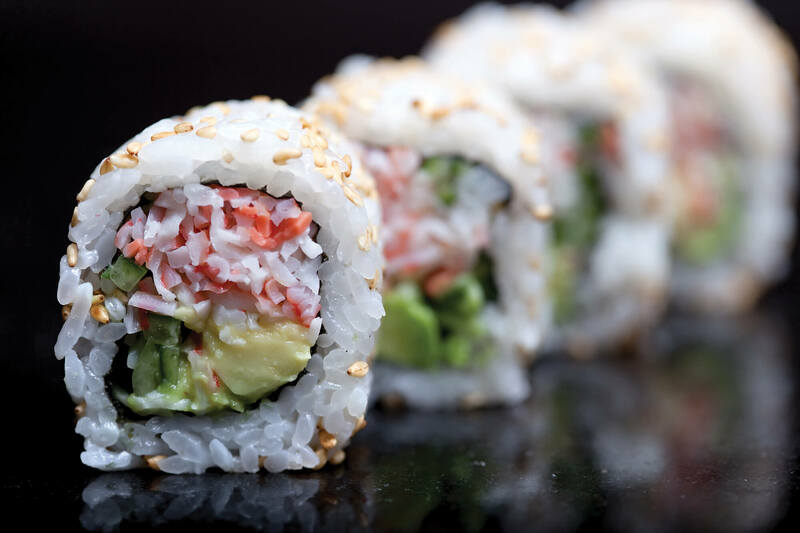 Served with house ginger dressing and Benihana onion soup. New York strip steak* and mushrooms teppanyaki grilled to your specification. Japanese sautéed noodles with vegetables in a special sauce. Hibachi shrimp grilled with butter and lemon. Teriyaki beef* with green onions and mushrooms grilled in a homemade teriyaki sauce. 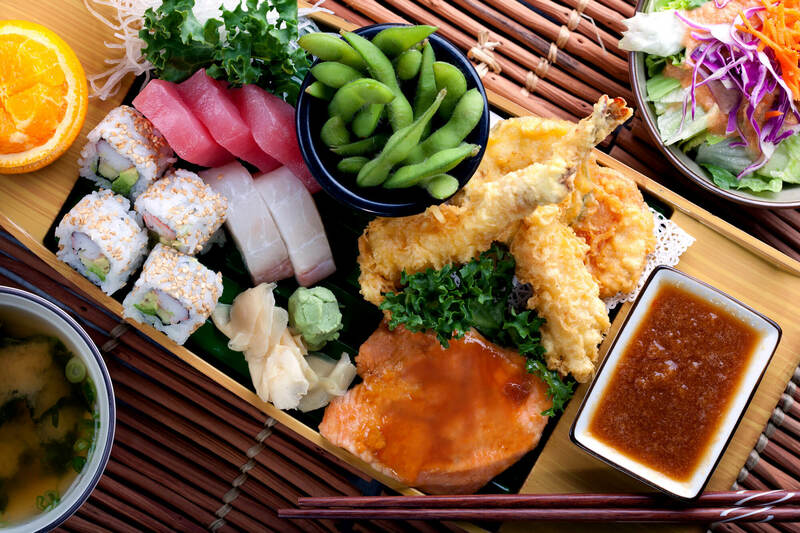 Lunch BoatServed with soup, Benihana salad, edamame, sashimi*, half California† roll, shrimp and vegetable tempura, steamed rice and fresh fruit. 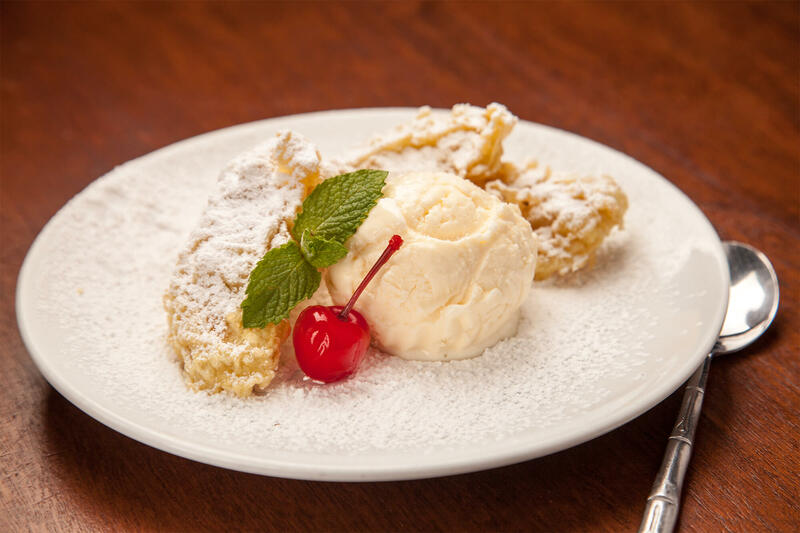 Dinner menu items also available during Lunch hours.